ANAHEIM, Calif. /California Newswire/ — 5 Bars Inside(TM) today announced that they will be the official Distributed Antenna Systems (DAS) and Wi-Fi(R) provider for Major League Baseball's Los Angeles Angels of Anaheim. Attendees of the stadium will experience a profound difference in wireless connectivity and data speeds with the integration. "The 5 Bars Inside team has more than two decades of internal experience in developing and managing Wireless Service Providers DAS networks. We're looking forward to creating a long lasting future with Angels Baseball and we look forward to assisting the team in developing an end-to-end wireless solution to support their dedicated fan base and internal partners," said John Clarey, CEO for 5 Bars Inside. "We will ensure that fans can use voice and data services, even during capacity-crowd events." 5 Bars Inside(TM) designed and engineered the wireless network to meet or exceed the Major League Baseball Advanced Media (MLBAM) requirements and specification parameters. In order to ensure five-bar voice and data coverage and adequate capacity for SmartPhones, 5 Bars Inside(TM) will deploy a Distributed Antenna System (DAS) and Wi-Fi Network that provides total wireless connectivity. "In keeping with our continuing efforts to bring the best Major League Baseball experience to our fans both on and off the field, we are excited to have partnered with 5 Bars Inside to bring a wireless experience to our fans while visiting Angel Stadium of Anaheim," said John Carpino, Angels Baseball President. 5 Bars Inside(TM) will provide monitoring, maintenance and reporting for the network. Complete commissioning will take place the first half of the year. 5 Bars Inside(TM) plans to build and optimize the system for their anchor tenant, AT&T in early 2014 in order to be fully operational for the MLB 2014 season. Angel Stadium of Anaheim is ballpark located in Anaheim, California and is the home ballpark to Major League Baseball's Los Angeles Angels of Anaheim. 5 Bars Inside(TM) is an Irvine, California based premier provider of indoor and outdoor distributed antenna systems, small cells and Wi-Fi networks. Venues that carry the 5 BARS INSIDE (TM) certification possess the highest standards of wireless connectivity. 5 Bars Communities(TM) provides municipal Wireless Master Planning and management of network infrastructure including cell tower, outdoor small cells and distributed antenna systems. The 5 Bars Inside(TM) team has experience designing and developing over 500 wireless projects nationwide including NFL and MLB stadiums. 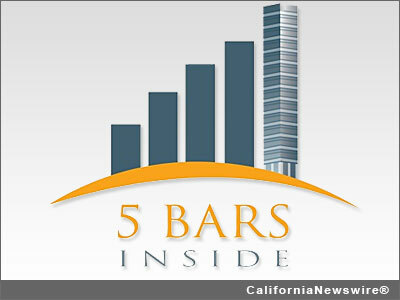 For more information about 5 Bars Inside, please visit http://www.5barsinside.com/ .